1997 – International Campaign to Ban Landmines (ICBL) and the campaign's coordinator Jody Williams (born in 1950), US social activist.  The laureates received the Nobel Peace Prize for their work for the banning and clearing of anti-personnel mines. Jody Williams oversaw the growth of the ICBL to a point where the initiative included more than 1,000 NGOs in more than sixty countries. She was the chief strategist and spokesperson for the campaign. In recognition of her expertise, Ms Williams was invited to serve as a technical adviser to the UN’s Study on the Impact of Armed Conflict on Children, led by Graca Machel, former First Lady of Mozambique. Prior to her involvement in the ICBL Jody Williams was involved in humanitarian and educational projects in El Salvador, Nicaragua and Honduras. She authored several books and articles. International Campaign to Ban Landmines was found in 1992. Today, it operates as a coalition of more than 1,000 non-governmental organisations. Thanks to ICBL’s unprecedented partnership with governments, the UN and the International Committee of the Red Cross, the campaign orchestrated the signing of the 1997 Ottawa Convention to ban antipersonnel landmines as weapons. Poland, a signatory of the Convention, has never ratified the instrument but follows its provisions on a voluntary basis.